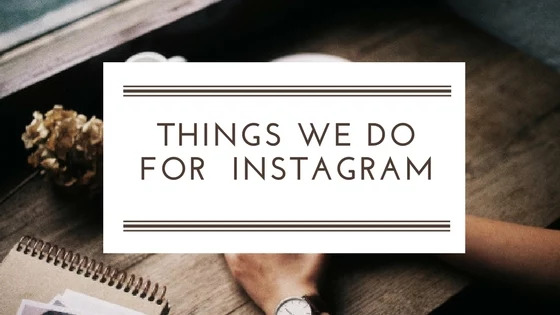 14 THINGS WE DO FOR INSTAGRAM.. It's safe to say that I am utterly obsessed with Instagram. It almost seems that my life revolves around sometimes. I've decided to compile a list of the things that we do for Instagram. Keep reading and let me know if any of the below apply to you... Are you guilty of any of these Instagram sins? We go out for coffee and cocktails more than ever, thanks to our BFF, Instagram! I don't know about you, but I find myself going out for coffee ever such a lot these days, purely for the perfectly natural shot of two untouched coffees innocently sat there with totally not set-up props surrounding them. It doesn't just end at 'going out for coffee' or 'going into town' or even 'going to the beach' - we have to make sure that it looks 'Instagrammable'. Gone are the days of sitting inside the coffee shop, especially if the lighting is dim and dark - sitting outside is a must if you're an avid Instagrammer. We have to make sure that the table is clean, the floor is photogenic and there's no random foot in the shot. We've all bought coloured card, sticky back plastic and rolls of wallpaper just to get the perfect flat-lay - haven't we? Luckily these things don't break the bank and they really help us to achieve those sought after flat-lays that all of the Insta-famous-bloggers have! Long gone are the days of just taking a stroll, these days if you walk past a beautiful row of houses you have to stop and get that obligatory photograph of the perfectly situated front door. Sometimes us Instagrammers even get a cheeky outfit snap outside. Instagram can make our lives look flawless even though they might be far from it. Lunch dates, pretty flat-lays, coffees, cocktails, new shoes and on-trend outfits.. but our followers don't know what's really going on in our lives do they? Yep, I've done this and surely you have too, right? I'm guilty of buying both fresh and faux flowers just to take a pretty snap of them for my Instagram. I even bought a whole load of faux flowers so that I can use them in my flat-lays of beauty products and photographs for my blog too. If you don't have the Hashtagger app, are you really Instagram obsessed? I love using the Hashtagger app as it ensures my photographs get as many impressions and as much reach as possible. "Oh yeah, I'm totally going to stick to this super simplistic theme of just makeup items with a white background and the Juno Instagram filter" - We've all been there! I'm always deleting photographs. "Omg it doesn't match my feed", "It barely got any likes", I prefer it with that filter". When we're snapping away, whether it's pictures of buildings, selfies, photos of coffee, cocktails or a perfect flat-lay, we can take anywhere from 10 to 34 photographs. Composition is everything. No shadows allowed unless they have a rainbow effect, no blurriness, no sun rays - no nothing! We always make sure our nails are done so that if we want to take a photo of us holding that new lipstick we spotted in Debenhams or that cute bralette we're lusting over from Victoria's Secret, we don't have ugly chipped or naked nails. We buy so so so much makeup anyway, because, why not? But we seem to buy more just so that our feeds look on-point. Yeah, it sounds silly but we need an excuse to buy copious amounts of makeup, don't we? I adore Cherry Blossom and like most Instagrammers and Bloggers, I can't help but snap a few shots of a Cherry Blossom if I'm lucky enough to pass by one - are you the same? Are you guilty of any of the above or do you have any other Instagram sins that you'd like to confess? If so, please do let me know in the comments below! Hello people, so today I am going to be doing a giveaway! that they can be pick up in any food store (not ICA). 2. COMMENT on my post on Instagram. About your summer in emojis, for example: 👩👧👦🛳🌴🏄. I will be messaging the winner, they must message back within 24hours. You can choose whatever prize you would like to receive as well. GOODLUCK GUYS ~ Winner will be announced on June 10. 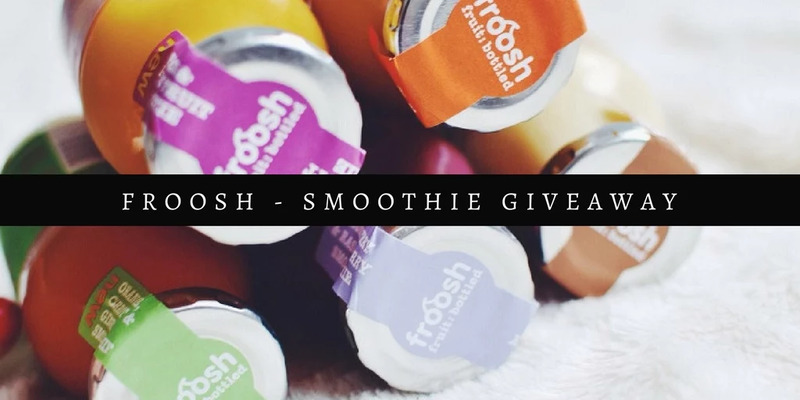 Swedish smoothie company Froosh was originally started to give consumers in the Nordic countries a convenient, delicious and healthy way to get more fruit into their diet and make it a little easier to live a healthy life. Since then, the company has seen rapid expansion, and is currently present in Sweden, Denmark (HQ), Norway, Finland, the Baltics, Iceland, the Canary Islands, Spain, France and Japan. The company creates their own recipes, using 100% fruit. The original sized 250ml bottles contain exactly 2.5 portions of fruit and are free from any concentrates, added sugar or preservatives. 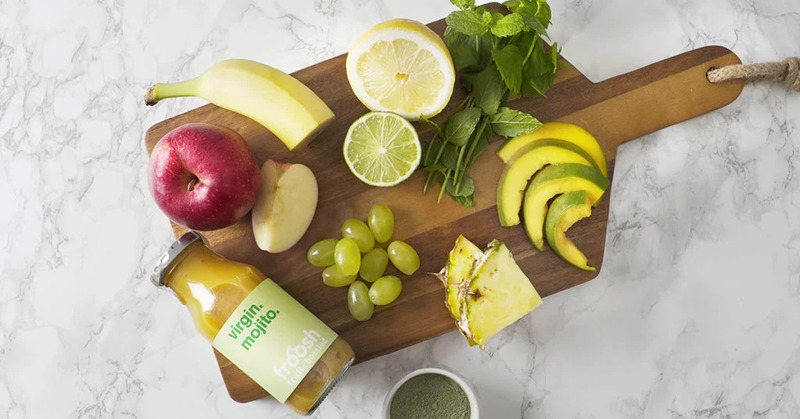 The main difference between the smoothie and regular juice is that they don’t just press the juice from the fruit but actually mash and use the whole fruit, making it possible to maintain more nutrition (e.g fibres etc). This gives the product a thicker density than juice, and is often consumed as a snack between meals, on the go or after the gym. The company prides itself on being socially responsible by providing much needed jobs, boosting trade, generate foreign exchange and tax revenues for the government and fund infrastructure in the local communities of developing countries. At least 50% of the fruit used in Froosh's smoothies are sourced from developing countries such as Malawi, Ethiopia, India, Ecuador, Guatemala, Peru. "Instead of donating to charity, where the money probably won't even get to the right people, we believe in making it easier to trade and boycott all of the quota's and the tariffs. We are sharing this mission with the fruit farmers in developing countries and help share their stories on their behalf because they are just trying to survive. We want to help them by providing a voice." shares Anna Hagerman Rise, Communication & Public Affairs Manager from Froosh. "We send out customers, media and our staff to visit the fruit farms that we source our fruit from. Then they get the opportunity to work in the fields for a week and get dirt under their nails and learn about the fruit. This gives them first hand insight into the impact that the fruit industry has on these developing countries. "We like to launch new flavours every 6 to 9 months. We prefer quality over quantity, so the timeline for new flavours may differ somewhat. Our latest flavour we launched is pumpkin with chilli, however, our base will always be fruit, especially tropical fruit because of our philosophy of sourcing fruit from developing countries and that will not change. We are a fruit company, but we have a few vegetable smoothies with spinach, beetroot, ginger. We like to bring new products every 6 months, however, we used to always launch 2 new ones and take 2 different ones off the market, but they are all pretty popular so we are not taking any away for the first time this year." said Anna. The shelf life of the juice is 9 months and Froosh is able to keep this long shelf life without any kinds of preservatives or additives thanks to their septic production line and smart packaging with glass bottles and unique paper can solutions. The company has set itself apart by using manifestos on their juice labels instead of typical juice names. The labels are changed every 6 months, often reflecting current issues/people. The manifestos has often been picked up on social media by consumers who appreciate the humour and boldness in them, which gave Froosh the idea to engage their customers to take on more of an active role in coming up with new manifestos, and even held a competition recently to help come up with the newest slogan.